In this weekend course, Robert will help navigate and explain the use of Mushroom Essences, for soul connection, and how clinicians may integrate this vibrational healing modality into their own practice. Mushroom essences are vibrational preparations produced from various parts of the fruiting bodies of the Kingdom Fungi. Most are polypores (spores released from pores), basidiomycetes (gilled mushrooms) and ascomycetes (cup fungi). Mushrooms represent the underworld, and under-belly energy of the planet. Unlike flower essences that bring (sun)light into areas of darkness, due to the solar connection; fungi are lunar, dark and mysterious. Like all manner of living beings, they express energetic fields, for those willing to observe, listen and feel. In turn, this vibration can be captured and used in clinical and private psychological work. Because no physical substance remains, they can do no harm. But in the hands of a skilled practitioner, mushroom essences can help peel away the steely bars of long-held, emotional and mental imprisonment. By giving the soul permission to express, one can free not only themselves to be more authentic, but can assist loved ones, friends, clients and patients on their own journey. Mushroom essences bring awareness to our shadowed side. They represent deep and difficult issues surrounding the “winter of the soul”. Flower essence practitioners will find mushroom essences create synergistic potential. 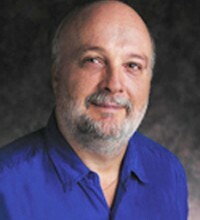 Robert Dale Rogers has been an herbalist for over 45 years, and is a professional member of the American Herbalist Guild. He earned a Bachelor of Science from the University of Alberta, where he is presently an assistant clinical professor in Family Medicine. He presently teaches plant medicine, including plant and mushroom medicine, aromatherapy and flower essences in the Earth Spirit Medicine faculty at the Northern Star College in Edmonton, Alberta, Canada. He is the author of 50 books on medicinal plants and fungi of the boreal forest, including The Fungal Pharmacy: The Complete Guide to Medicinal Mushrooms and Lichens of North America. A Cree Healer and his Medicine Bundle, was released in June 2015 by North Atlantic Books. It documents the ten-generation passing down of over sixty traditional indigenous boreal plants and fungi and their medicinal use. Mushroom Essences: Vibrational Healing from the Kingdom Fungi was released in July 2016. This book contains 48 mushroom essences prepared under lunar influence for working with soul connection and depth psychology. It includes one or more case study, from clinical practice, associated with using these wonders of the underworld. In June 2017, North Atlantic books released Herbal Allies: My Journey with Plant Medicine, including 20 plants of the boreal forest from the perspective of the Cree Lunar Calendar.